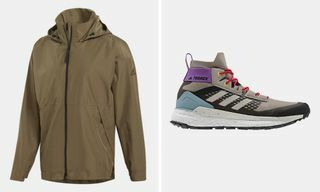 Key Pieces: For those wanting to look sharp while wandering through the woods, must-cops include the metallic green wind jacket, white tailored jacket, and the yellow jacket with branded pocket detailing. 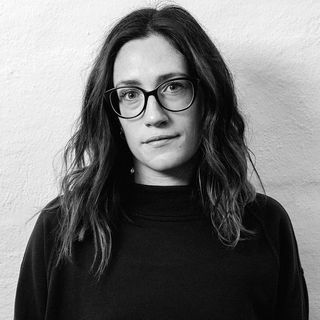 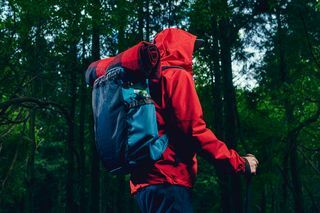 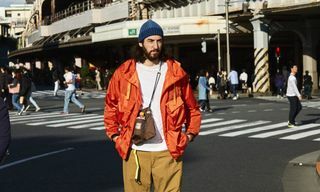 Editor’s Notes: Woolrich has launched its new Outdoor Label for Spring/Summer 2019 in partnership with Japanese outdoor brand (and Woolrich minority stakeholder) Goldwin and Woolrich Japan, with a focus on sustainability and working with the environment, not against it. 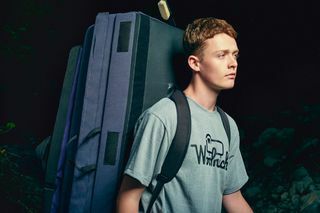 The goal of Woolrich Outdoor Label is to create a balance between humanity and the natural world, focusing on functional, minimal designs that translate to a number of settings, such as trekking through forest landscapes, climbing sheer rock faces, or just wandering the city. 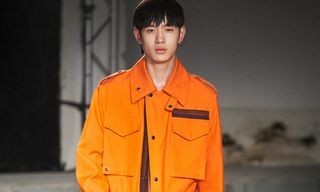 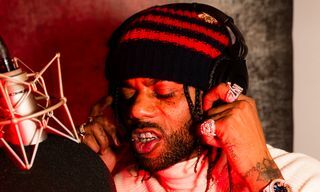 The collection debuted at Pitti Immagine Uomo 94 last year and comprises a number of functional staples, such as utility vests, graphic tees, wind jackets, cargo pants, coats, caps, bags, and boots. 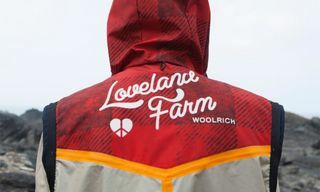 Take a look through the collection in the gallery above and head to Woolrich to shop.